Right on the waterfront you will find the gorgeous Brasco Lounge. A place to eat, drink and relax day and night, this is one place you will want to visit in Liverpool. Open Monday-Sunday from 9am until 11pm this is a great cafe bar for breakfast, lunch and dinner. There is something for everyone to enjoy. 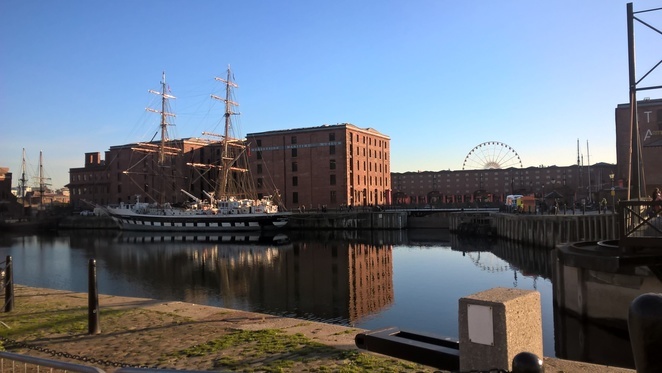 Visitors to the city will love this ideal location as it is right next to the Albert Docks, the Museum of Liverpool and near the Liver building, so you can enjoy a day of culture and stop for a meal or a drink. The outdoor terrace is ideal in the summer for alfresco dining and enjoying the views of the water. The food at Brasco Lounge is great. With an extensive menu including separate menus for gluten free and vegan options, as well as a kids menu, it is easy to find something for everyone and all dietary requirements are catered for making it a great place to eat out with family and friends. You can enjoy a range of food whether you are in the mood for brunch (which is served all day) or would prefer a light meal, a main or tapas food. There are also a range of desserts if you still have room for something sweet. The vegan menu is impressive as there is a range of options, not just the one or two choices some places offer. This restaurant has really planned out a great menu with multiple options and even a couple of dairy free desserts to choose from. I enjoyed the falafel burger from the vegan menu. It was delicious. It comes with chips and vegan slaw on a sourdough bun. This is just the meal you need for a busy day exploring the city. It is great to have a separate vegan menu as it is so easy to decide what to choose and the staff are really helpful and knowledgeable when ordering. 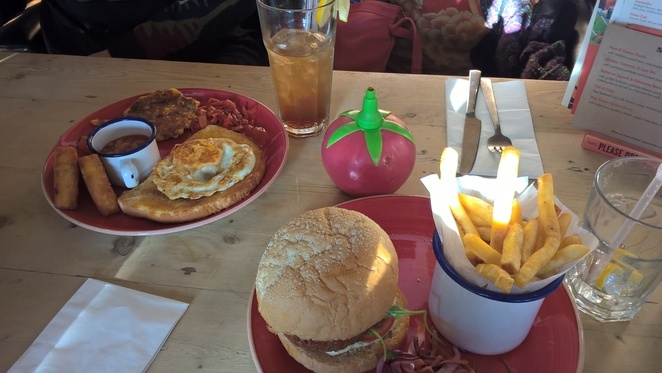 My family were impressed with the vegan and vegetarian options here and liked the fact that you can order brunch all day so if you feel like having a cooked breakfast for lunch or dinner then this is the place to visit. Overall the food is consistently good when I visit the Brasco Lounge and I am always happy to return and try something different. The venue is not just a great place for a meal. They have an impressive drinks menu from herbal teas to cocktails this is a great place for a relaxed afternoon cup of tea or a cocktail before a night out in Liverpool. With an impressive selection of drinks behind the bar you will be spoilt for choice, this is definitely the place for trying out new and exciting drinks. 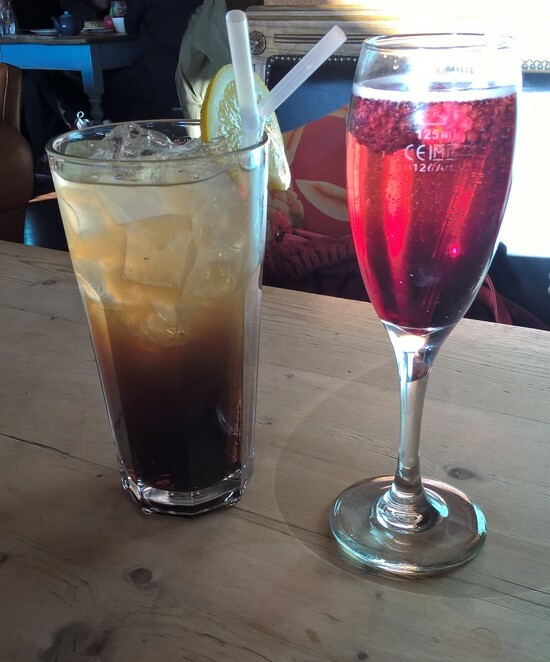 As this was a birthday trip we raised a glass with a raspberry fizz (made with prosecco) and a Long Island iced tea. The range of drinks on the cocktail menu is brilliant and they are reasonably priced and made with top quality alcohol. So whether you are visiting for a quick lunch or a celebration you will have a great time here and enjoy exceptional service. What will you choose to drink? Brasco Lounge is part of the Lounges restaurants and bars which are all over the country. Each one is unique to the area. Behind the bar at Brasco is a salvaged Liver bird shield which was rescued from the Liver Building when part of it was demolished. It is these nice touches that make each place unique and add to the independent atmosphere. Dog lovers will rejoice at the fact that the Lounge is dog friendly and you are welcome to bring your pet to join you. And with offers on every day, including a breakfast club, there is always a good deal to be had. 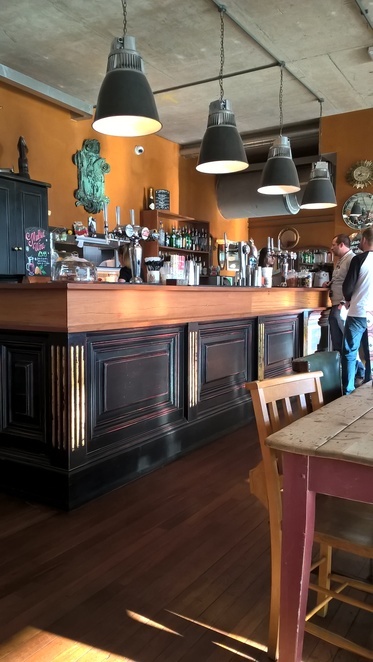 If you like a relaxed atmosphere, great food and brilliant service you will enjoy a trip to this Liverpool cafe bar. 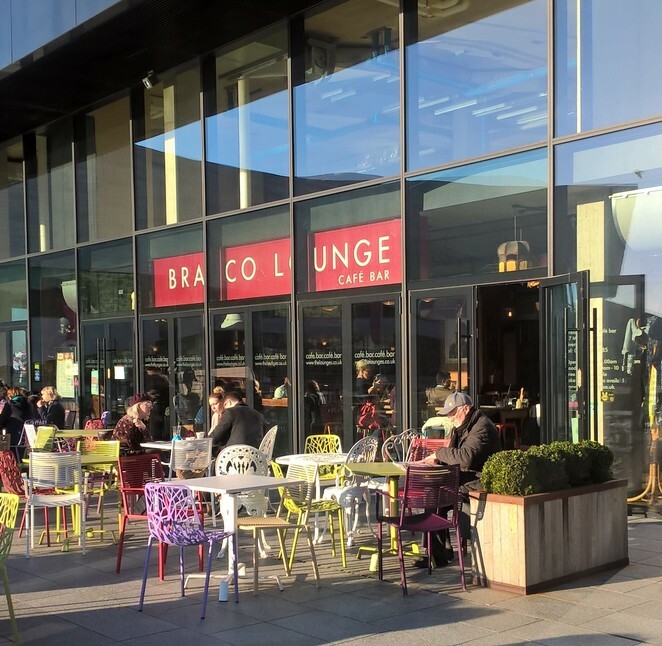 You can find Brasco Lounge at 27A Mann Island, Liverpool Waterfront. Call 0151 236 5085 for more information or email brasco@thelounges.co.uk.